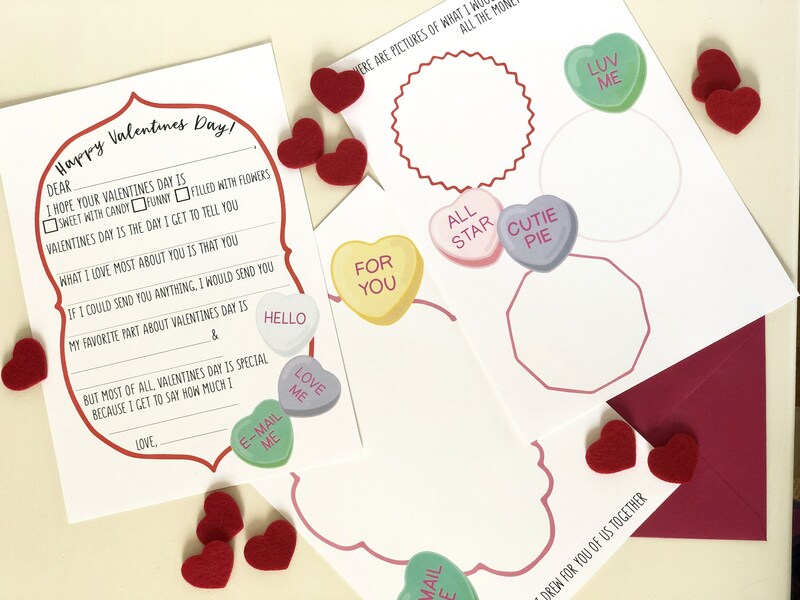 Your little one can share some love this Valentines Day with this stationery that includes three cardstock, fill-in-the-blank sheets measuring 7" x 10" and a 5" x 7" envelope. 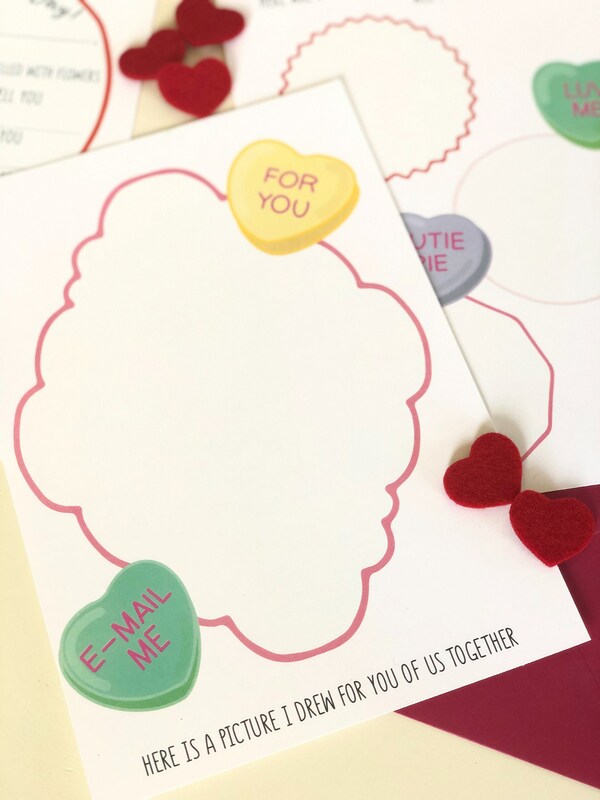 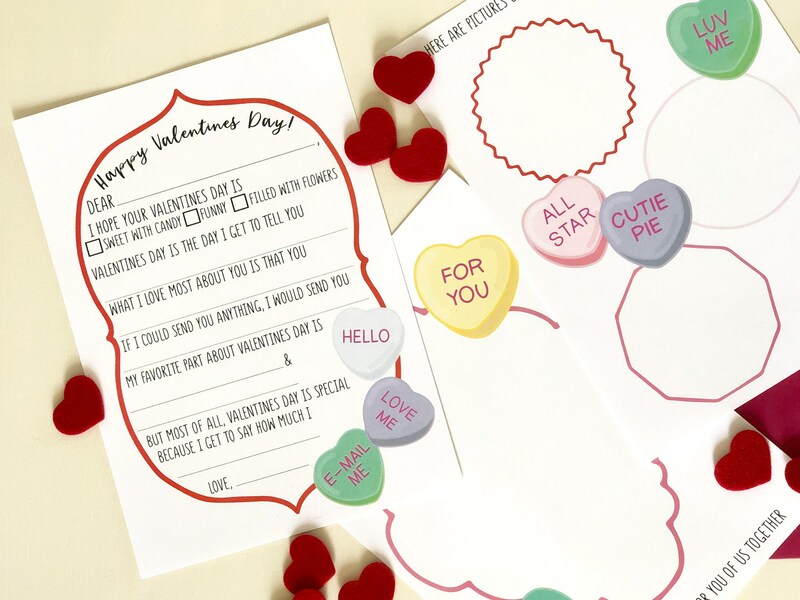 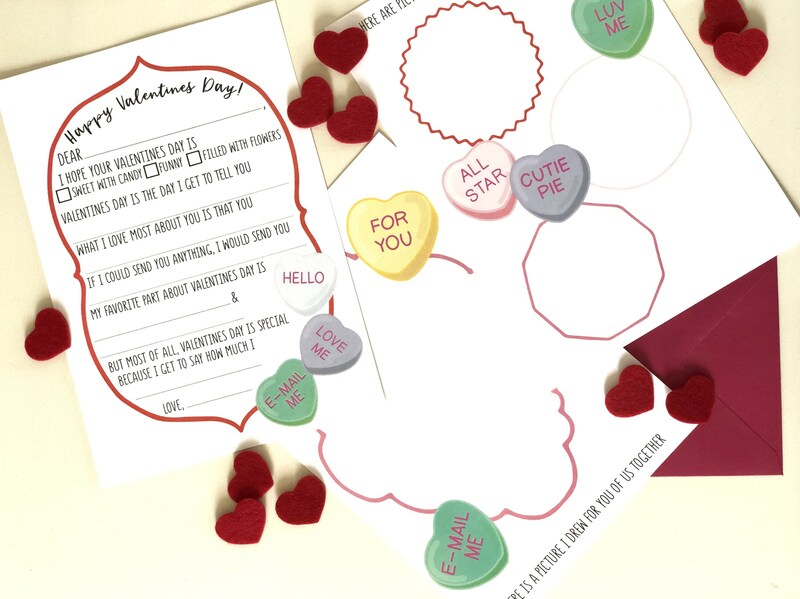 The Mad Padder’s conversation hearts designs are on each sheet, too, to help write the letter! 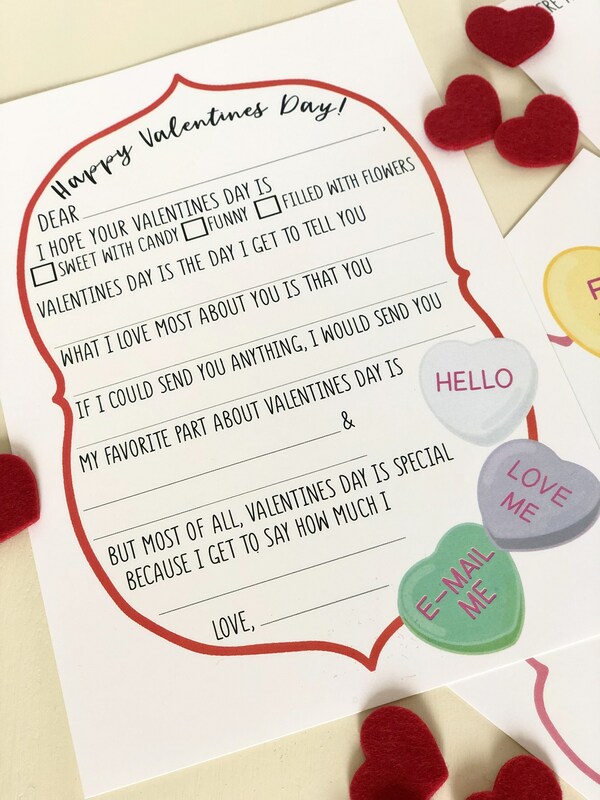 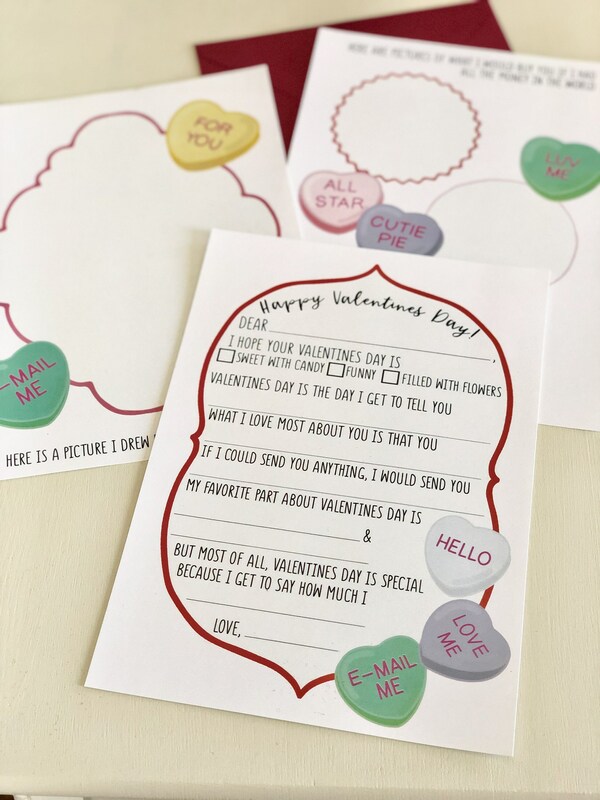 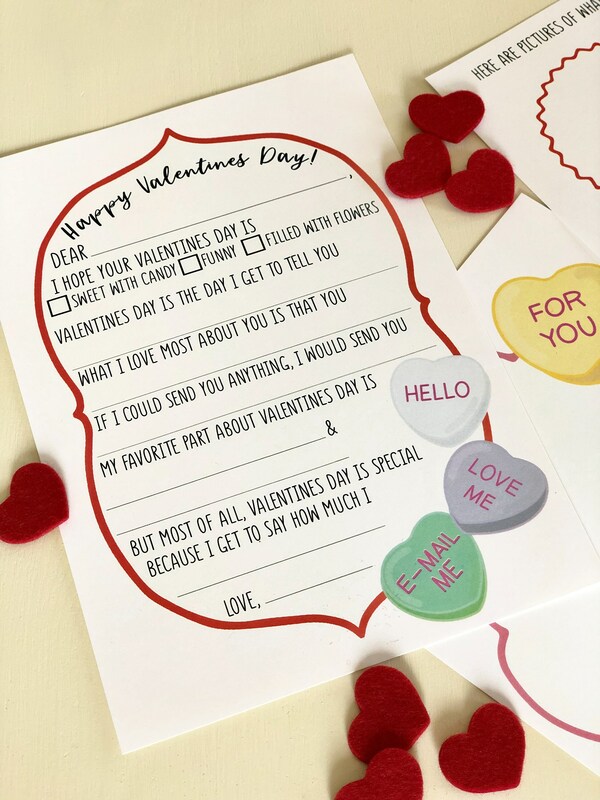 The "Happy Valentines Day” letter includes blanks to fill-in and boxes to check, wishing a loved one a happy Valentine’s Day and sharing what gifts the child wishes he or she could give. 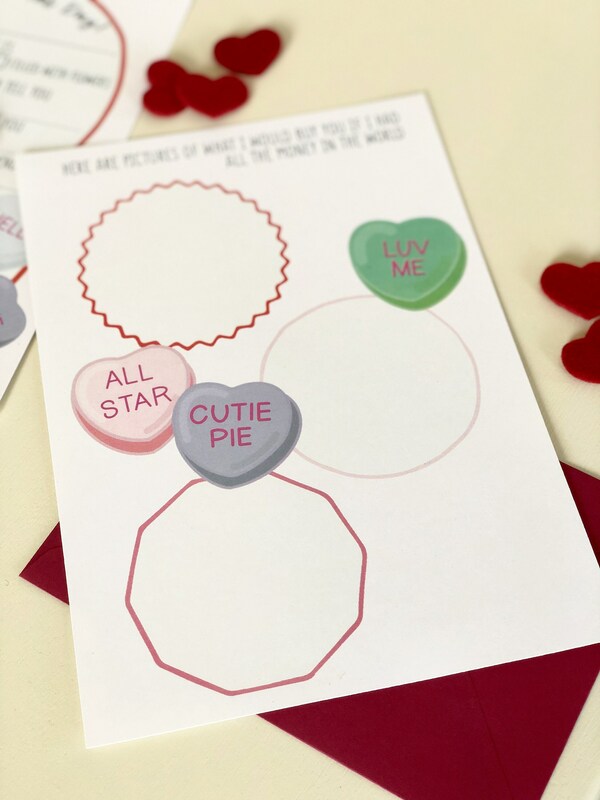 The second and third sheet include areas to draw pictures of them together and to draw three things they would like to buy for the loved one if they had all the money in the world. 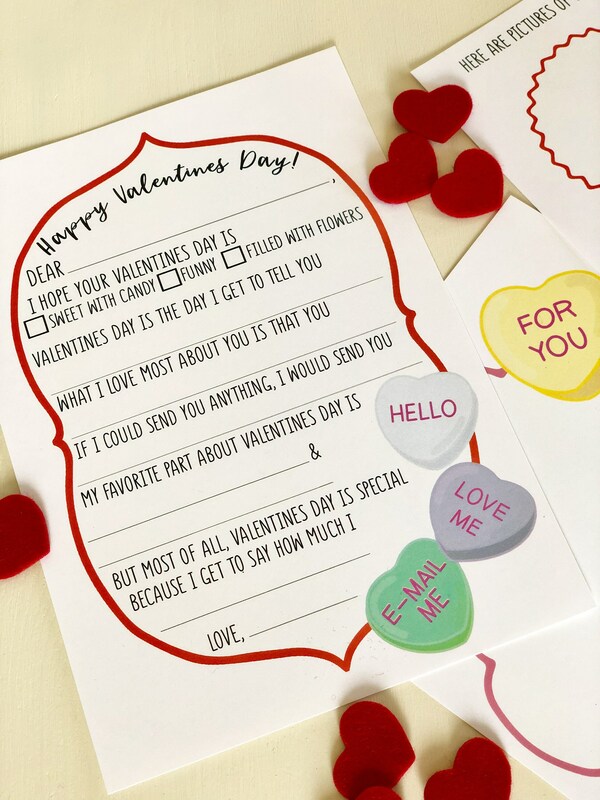 The stationery set and envelope are packed in a cellophane bag with a cute “The Mad Padder” topper, keeping it sealed.